The Offi­cial EDS App pro­vides you with a sin­gle, easy-to-use plat­form where you can net­work direct­ly with oth­er atten­dees, gen­er­ate valu­able leads, orga­nize meet­ings and share impor­tant news. It’s also the home of the EDS Direc­to­ry, with loca­tion infor­ma­tion for all com­pa­nies at EDS. The app devel­op­er, Zerista, will be con­tact­ing you soon by email with details about how to get the app. If you don’t receive your invi­ta­tion, check your junk mail, or con­tact gretchen@​edsconnects.​com. 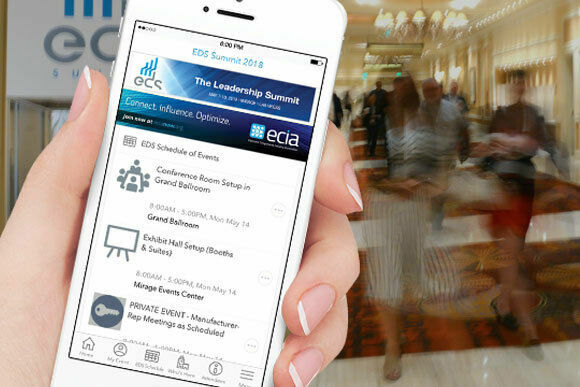 Be sure to down­load the app and dis­cov­er this con­ve­nient way to con­nect at EDS.